Bolt launch: The Chevy Bolt is back on track to launch by the end of the year, and it had never gone off course, according to Chevrolet. Several media reports and enthusiast websites said that the Bolt would be delayed by six months. 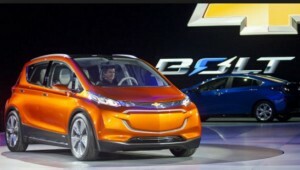 The Bolt remains on schedule, with U.S. sales set to begin by year end, according to a Chevrolet spokesman. General Motors engineers have been spotted testing Bolts equipped with correct finishes and colors in the Detroit area, which means that the Bolt is on schedule. Midterm review extension: Three Congressional leaders asked federal environmental and safety officials to extend by 60 days the public comment period for the midterm review on new vehicle emissions and fuel economy standards. Fred Upton, chairman of the Committee on Energy and Commerce; Ed Whitfield, chairman of the Subcommittee on Energy and Power; and Michael Burgess, chairman of the Subcommittee on Commerce, Manufacturing and Trade, signed the letter that was sent to EPA Administrator Gina McCarthy and National Highway Traffic Safety Administration Administrator Mark Rosekind. Audi electrified: Audi is preparing sporty models and electrified vehicles for launch as it emerges from parent company’s diesel reporting scandal. Audi has committed to make sure 25% of its sales will be plug-in hybrid or battery electric vehicles by 2025. Audi said the e-tron Quattro all-electric crossover vehicle will go on sale in 2018 as the lead model in its electrified vehicle campaign, with U.S. sales expected to start in 2019. California bill on HOV stickers: Plug In America has been opposing a bill in the California legislature, Assembly Bill 1964, that supports plug-in hybrids but limits purchase incentives on battery electric vehicles. The electric car advocacy group appreciates support the bill gives to High-Occupancy Vehicle (HOV) carpool lane green stickers for plug-in hybrid vehicles, but opposes limitations placed on white stickers for battery electric vehicles. As of last night, the bill had not progressed through the voting procedure in Sacramento and is likely to be put on hold. AB 1613: CALSTART is supporting California Assembly Bill 1613, which is backed by President pro Tempore Kevin De León and would allocate approximately $1.2 billion in revenues collected under the state’s cap and trade program. The majority of the funds were generated during auctions held by the state in 2015. “If Assembly Bill 1613 is approved by both houses, it would enable approximately $20 million in high-value clean transportation projects in the San Joaquin Valley. A number of very promising and different electric trucks and buses would be deployed in the Valley if this legislation passes,” said CALSTART President and CEO John Boesel. Read all about the clean transportation projects being funded that include electric transit buses and postal trucks. Fuel cell military pickup: General Motors will be testing out a hydrogen-powered Chevy Colorado pickup with the U.S. Army Tank Automotive Research Development and Engineering Center (TARDEC) for military use. TARDEC says that it appreciates fuel cell capability because of its capabilities in off-road environments and because it is quiet. Additional tests will include demonstrating exportable power generation. GM and TARDEC will showcase the fuel cell vehicle at the Association of the United States Army’s fall meeting. Uber takes a loss: Uber lost $1.27 billion in the first half of 2016, according to sourves attending a shareholder call recently for the privately-held company. Incentive subsidies paid to Uber drivers, especially in China, caused much of the loss, the Uber chief financial officer said during the call. Subsidies for Uber’s drivers are responsible for the majority of the company’s losses globally, Gupta said during the earnings call. Some of that loss has come through intense competition with Chinese ride-hailing market leader Didi Chuxing. 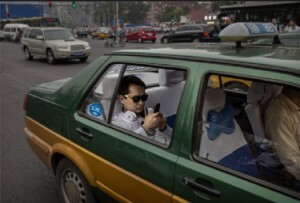 Uber has lost about $2 billion in two years in China, and has invested at least $1 billion in subsidy incentives for drivers in that market, according to the Bloomberg report. The recent deal with Chinese ride-hailing giant Didi is expected to help stabilize Uber’s financials. Another challenge has come through an aggressive price war with Lyft. Startups getting hit in China: Starting up an electric vehicle manufacturing company has been a hot commodity for angel investors in China, including well-known technology business leaders. That’s expected to take a downward spiral as the government leans toward cutting the list down to only 10 startups that will be receiving permits to become vehicle manufacturers. Half of those spots might already be taken. Beijing Electric Vehicle Co. and Hangzhou Changjiang Passenger Vehicle Co. have been grated permits. Companies preparing to file include Wanxiang Group, LeEco, and WM Motor. Kia Optima PHEV: Car and Driver reviewed the Optima PHEV (plug-in hybrid electric vehicle), Kia’s first plug-in. The main difference from the regular Optima hybrid lurks under the rear seats and trunk floor: a 9.8-kWh lithium-ion battery pack that, Kia claims, allows the PHEV to go up to 29 miles in electric-only mode and to operate at speeds of up to 75 mph on battery and electric motor, according to the reviewer. Cap and trade funds: See where funds raised by California’s cap and trade auction end up. It’s called the Greenhouse Gas Reduction Fund and has committed $850 to the state’s high-speed rail project as its largest recipient. Low carbon transportation projects are receiving $325 million to back zero and near-zero emission passenger vehicle rebates, freight transportation projects, and others. 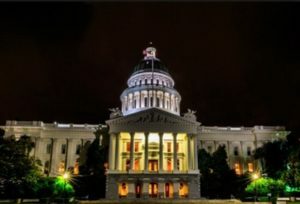 California has settled a legislative battle through simultaneous passage of Senate Bill 32 and Assembly Bill 197 – or at least has gained a temporary truce. SB 32 extends the state’s greenhouse gas mandate another 10 years and reduces greenhouse gases even more. AB 197 expands oversight of the California Air Resources Board with a priority set on cutting emissions from local oil refineries and manufacturers. The two bills were “double-joined,” which is legislative jargon meaning both bills have to be signed into law by Gov. Jerry Brown to take effect. That signature is expected to be happening soon. Brown had already filed an executive order with similar goals, but the legislation once signed turns it into law. Senate Bill 32: SB 32 requires the state to reduce greenhouse gas emissions to 40% below 1990 levels by 2030. The current target is reaching 1990 levels by 2020, a goal the state is on track to meet. Sen. Fran Pavley (D-Agoura Hills) wrote the new legislation and the 2006 legislation (AB 32) that set the foundation for the new bill. The state’s cap and trade program and low carbon fuel standard came from implementation of AB 32. Media reports and analyst commentary predict how these steeper reduction targets in SB 32 may impact industries. Some possible policy changes could be increasing the number of electric cars required to be sold in the state, adding penalty fees to purchase traditional fossil fuel-powered vehicles, renewing incentives for solar and wind power, and pushing for batteries to store energy at homes and commercial buildings. It’s also likely to be an engine for constructive job creation. Earlier this month, CALSTART released a report, “California’s Clean Transportation Technology Industry: Time to Shift into High Gear,” profiling OEMs and suppliers that are now based in California and are building zero- and near-zero emission light, medium, and heavy duty vehicles; and clean fuels, engines, and components. The report also acknowledged that state policies and funding investments are encouraging more companies to move to, or expand, in California. “The State Assembly voted today in favor of job creation, and to make California a leader in the clean transportation technology industry going forward. We expect that passage of this measure will lead to more in-state manufacturing jobs for advanced vehicles and components,” said CALSTART President and CEO, John Boesel, in a press release last week. Last year, the state legislature failed to pass a bill to cut petroleum use in half by 2030, after the oil industry waged an intensive campaign against it. That’s where the double-joined strategy came from, with legislators crafting and joining the two bills to address concerns from local community groups and pressure from the oil industry and manufacturers. Assembly Bill 197: Introduced by Assemblyman Eduardo Garcia (D-Coachella), AB 197 increases legislative oversight of CARB, and requires the agency to focus more attention on cutting emissions from local refineries and manufacturers. One issue that shaped the writing of the law was the air quality impact of oil refineries, which are usually located near disadvantaged communities. CARB has been both admired and admonished in the state and beyond, with praise given to its zero emissions vehicle mandate and adoption by other states; and criticism for adopting policies potentially raising fuel and energy costs, and for increasing the cost of doing business in California, which can motivate companies to move away to others states. Republicans and a few Democrats have accused CARB of wielding too much power in implementing climate laws; they demanded more legislative control over the agency, which became part of AB 197. It also addresses concerns from lawmakers who remain skeptical about whether policies to tackle a global problem are having a positive impact in their communities. Environmental groups have expressed concerns over the state’s cap-and-trade program. Though it puts an economic burden on companies until they reduce their carbon emissions, some environmental groups are frustrated because the companies can continue to release more carbon as long as they pay the price. Cap and trade program: AB 32 required businesses that emit greenhouse gases to buy permits at cap-and-trade auctions. Oil companies, refineries, electric utilities, and manufacturers have been spending millions on credits to comply with state rules. Cap and trade auction revenue has funded programs for fleets to acquire clean vehicles, electric vehicle purchase incentives, and other clean transportation gains. Cap and trade was not included in SB 32 or AB 197. The carbon tax, and cap-and-trade auction system, is scheduled to sunset in 2020. Gov. Brown has said that he might lead a statewide ballot measure in 2018 if lawmakers don’t come to agreement on an extension. Recent cap-and-trade auction results have dropped, with revenue falling millions short of expectations. Funds raised since the auction started in 2012 have been substantial, and has created a new funding channel for clean transportation and clean energy stakeholders to tap into. California climate change bill: Legislation extending California’s climate change law through 2030 narrowly passed in the Assembly, but its future depends on the approval of another bill. Advocates for the state’s climate change law scored a major victory yesterday with the passage of Senate Bill 32 introduced by Sen. Fran Pavley (D-Agoura Hills) that extends the state’s goals to reduce greenhouse gas emissions; however, it is contingent on passage of Assembly Bill 197 and on approval in the state senate. AB 197, introduced by Assemblyman Eduardo Garcia (D-Coachella), would increase legislative oversight of the California Air Resources Board. It also has language that makes it contingent on Pavley’s bill. The two bills are “double-joined,” meaning that both bills need to be signed into law by Gov. Jerry Brown to take effect. Oil companies are putting pressure on legislators to change the AB 197 wording, with portions of the bill targeted at slashing emissions from local refineries and manufacturers. SB 32 has been seen as a crucial step for reauthorizing the state’s cap-and-trade program. The bill now requires a 40% reduction from 1990 levels by 2030. The current climate law, AB 32, required the state to reach 1990 levels by 2020. CALSTART released a statement supporting passage of SB 32 as an engine for moving clean transportation, and advanced vehicles and components, forward. Next step in commercial truck rules: Manufacturers of medium- and heavy-duty trucks, buses, and cargo vans are required to follow federal regulations on reducing carbon greenhouse gas emissions in three phases by 2027. It the latest step in a multi-year process designed to cut carbon emissions by about 1.1 billion metric tons over the vehicle’s lifecycle; that equates to about a 25% reduction compared to current standards. 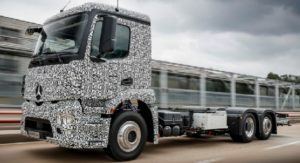 “This next phase of standards for heavy- and medium-duty vehicles will significantly reduce greenhouse gas emissions while driving innovation, and will ensure that the United States continues to lead the world in developing fuel-efficient technologies through the next decade and beyond,” said Gina McCarthy, administrator of the Environmental Protection Agency. Bill on California HOV lane stickers: Plug In America expressed concern over another California bill, which could hurt adoption of electric vehicles. Assembly Bill 1964 would remove the limit of 85,000 green HOV decals for plug-in hybrid vehicles to access the HOV carpool lane. Those who purchase an EV between January 2018 and January 2019 will have access to the HOV lane until January 2021, and those who purchase after January 2019 will also have access for three years. This gives anyone purchasing a PHEV some certainty that a green decal will be available and they can use the HOV lane. Plug In America is concerned that the bill only extends the green HOV decal program for PHEVs, but not the white decal program for pure battery electric vehicles (BEVs). If nothing changes in the proposed legislation, drivers of BEVs will not be allowed to access the HOV lane after January 1, 2019. The organization is encouraging those concerned to take action on the bill. PEV sales in Europe: The European plug-in electrified vehicle market saw a 21% increase in the first six months of this year compared to that same period last year, according to EV Obsession and CleanTechnica partner EV Volumes, with 91,300 PEVs sold. In June, the best selling model was the Renault Zoe held the top spot in June, which made up 14.2% of all PEV sales in Europe. This was followed by the Mitsubishi Outlander PHEV (10.2%), the Nissan Leaf (9.3%), and the Tesla Model S (8.7%). Tesla state battles: Tesla Motors is focusing on the state of Utah, where last year a bill intended to give the electric carmaker the right to sell its vehicles in the state stalled out after a series of compromises. State legislator Kim Coleman had led the drive, but so many amendments had been added to it that Tesla withdrew its support and the bill was voted down. Lawmakers and a dealer association are continuing to debate the issue of Tesla being allowed to have sales presence in the state. In Alabama, as state senators has filed a proposed a bill that would “allow a manufacturer of alternative fuel vehicles to sell and lease its vehicles directly to the public.” That would apply to Tesla and other manufacturers of vehicles fueled by electricity, natural gas, or propane. Direct sales are considered “an unfair and deceptive trade practice” in the state. Tesla’s sales are also banned in Arizona, Michigan, Texas, Connecticut, Utah, and West Virginia. CityAirbus ridesharing: Aircraft manufacturer Airbus is developing CityAirbus that will transport riders out of crowded cities via the sky. Short air trips will cost about as much as a taxi ride for each passenger. The first test run for CityAirbus will start in late 2017. Passengers can board the multi-propeller aircraft by using a mobile phone app, then going to a nearby helipad to catch the next ride. Airbus says it will offer avoidance of traffic congested areas, and it will be faster and more sustainable than what’s out there now. RNG in NYC refuse fleet: Robert Catell, former chairman of National Grid, US, and Joanna Underwood, chairwoman of Energy Vision, wrote a commentary piece for the New York Times, making a case for renewable natural gas. New York City’s Department of Sanitation plans to buy 340 new trash trucks this year, with at least 300 powered by diesel engines. Its 5,200 heavy-duty diesel trucks make up a fifth of the fleet, yet emit more than 60% of its greenhouse gas emissions. RNG comes from biogases emitted by decomposing organic waste, offering significant emissions reductions from fuel that can be sourced within the city. Lease programs on Model S and X: Tesla Motors has announced two-year lease programs on the Model S (for $593 a month) and the Model X ($730 a month) for their cheapest, starting price versions. There will be a hefty down payment – $6,000 for both models. There’s also a $695 acquisition fee and a month’s lease payment due when taking delivery of the car. There’s a 10,000 miles per year cap on the lease, unless you pay more for a 12,000 or 15,000 mile cap. Another Chinese startup: Chinese air-conditioning manufacturer Gree will be investing $2 billion to buy Zhuhai Yinlong New Energy Co., company that builds electric buses, lithium batteries, and drivetrain components. Yinlong has been manufacturing batteries for electric vehicles since 2009 and also builds drive trains for EVs and hybrids. The Chinese automaker says that it has seven electric cars in the development phase, but so far has focused on building electric buses. Gree is one of many companies making the purchase in order to support the Chinese government’s “new energy vehicles” program to clean up the environment and promote new, advanced technologies. Have you ever wished you could ride in a passenger seat during a self-driving car test? 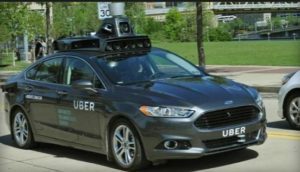 You might want to go to Pittsburgh and skip Mountain View, Calif.
You can ride in an autonomous Ford Fusion as part of Uber’s self-driving car test project in Pittsburgh; and that will soon include a Volvo plug-in hybrid. Google has kept its test runs in its corporate hometown of Mountain View controlled to allow for only employees and strategic partners to participate. Uber CEO Travis Kalanick told the press last week that development of autonomous vehicles is essential to the future of the six-year-old ridesharing company. Much of it has to do with eventually eliminating the cost of paying drivers, which would allow Uber to drop the cost of a ride down and make it even more attractive to customers who don’t want to make a car payment or pay for a taxi ride. Uber is no longer involved with Carnegie Mellon University’s self-driving car research for reasons that were never explained. That alliance with the Pittsburgh-based university, which is considered to be the leading university R&D center for autonomous vehicles, ended in the spring after being formed a year earlier. Uber did hire away four faculty members and 36 researchers and technicians, but Uber never collaborated with CMU on a single project. The ridesharing company did provide the $5.5 million gift to the university that it committed to. Uber does have its own drivers behind the wheel to reduce the risk factor and protect passengers and other vehicles on the streets; and the company is working with authorities in Pittsburgh and the state of Pennsylvania to make sure safety rules are followed in the test cars. Tesla Motors is continuing to back its semi-autonomous Autopilot system even after a fatality and several collision incidents related to the Autopilot system. Safety will continue to be the key issue to be addressed by all parties rolling out self-driving car technologies. Last week was significant for the next phase of autonomous vehicles with announcements from Uber and two major automakers. Plug-in electrified and hybrid vehicles have typically been used in self-driving test projects. Purchases of plug-in electrified vehicles are expected to reach the 10%-to-20% of U.S. new vehicle sales mark, from their current less-than-1% level, in the next 15 years, according to a few industry analysts. Being connected to self-driving technologies and mobility services is expected to support that sales increase. Uber will be adding Volvo cars to its test project. The companies will be investing $300 million to put 100 self-driving Volvo XC90 plug-in hybrid SUVs on the streets of Pittsburgh in less than four months. Self-driving hardware and software will be added jointly, and tech support will be provided by Volvo. Uber will be adding Lidar, radar, additional cameras and sensors. Uber will allow customers to summon the self-driving vehicles from their phones. The fleet will be supervised by Uber staff in the driver’s seat for the time being. Uber said it is buying the XC-90s from Volvo and is adding the self-driving hardware and software for the specific needs of its ride-hailing service. Uber is developing the technology in its Pittsburgh tech center, opened just 20 months ago. Volvo will provide technical support. Sherif Marakby, Uber’s vice president of global vehicle programs, is leading the project. He joined Uber in April after a 25-year career at Ford in numerous senior engineering management positions. In his most recent role with Ford, Marakby served as the automaker’s director of global electronics and engineering, a position where he was responsible for electrical components on all Ford vehicles globally, including infotainment, driver assist, and connectivity. He said that Uber’s deal with Volvo isn’t exclusive. The ridesharing company will roll out the test project to other cities and there could be other automakers and technology suppliers joining in. As for now, working with Volvo makes a good deal of sense for Uber. Uber also announced last week that it had acquired Otto, a 90-person start-up company providing self-driving truck systems that could bring more of that technology to shipping and cargo transport. The acquisition is taking place for an undisclosed cost. Uber plans to open a 180,000-square-foot facility in Palo Alto, Calif., to house the trucking tech company. Otto will operate as a stand-alone company focused on upending the long-distance trucking industry. Otto had previously hired former Google and Carnegie Mellon engineers. After the acquisition is complete, Otto engineers will also work out of offices in San Francisco and Pittsburgh. Uber’s chief said the strategic alliance will team up with hardware manufacturers, Otto’s software expertise, and Uber’s large network of more than 50 million monthly riders as potential customers for a wide range of delivery services. It places Uber in the best position to be competitive with Silicon Valley giants like Google, Kalanick said. Ford Motor Co. is tapping into Silicon Valley talent as well, said CEO Mark Fields, last week while visiting the automaker’s Palo Alto research facility. Fields announced that the company will offer a fully automated driverless vehicle for ridesharing services in 2021. Fields said Ford is increasing its investments in Silicon Valley technology firms, tripling its investment in semi-autonomous systems, and more than doubling the size of its Palo Alto research team while expanding its campus in Silicon Valley. Ford’s chief said he was not concerned that rival General Motors had made a high-stakes play in ride services with its $500 million investment in Lyft in January. “We’re not in a race to be first,” Fields said. Ford does not yet know whether it will partner with Uber, Lyft, or other ride-hailing and ridesharing service providers. Fields said Ford may choose not to partner, and roll out such services on its own. The automaker has been rolling out carsharing and ridesharing in Europe and the U.S. in test projects in recent years. Fields does see Ford going toward fully autonomous vehicles, similar to the strategy Google has taken. Ford Chief Technical Officer Raj Nair said the company likely will not offer a fully autonomous car without steering wheels or pedals to consumers until 2025 or later. Launching a self-driving car first for ridesharing is a better way to reach the mass market and make the cars more affordable, he said. Uber CEO Kalanick isn’t speculating on when Uber might be ready to dispense with the human driver, saying that full automation can only be used now in limited places light in traffic. Uber and Lyft riders are anticipated to be more open to using driverless cars. Studies show that younger, Millennial consumers make for most of the Uber and Lyft customers. They’re less interested in car ownership and want to tap into the most efficient, advanced technologies to meet their mobility needs. Many of them have taken ridesharing trips and enjoy the reduced cost and socializing. They prefer it over driving their own car home from work, being absorbed and stressed out over getting through congested traffic at slow speeds. Whether it’s a human or machine driving the car, their main purpose for using Uber and Lyft is accomplished. Electrified vehicles are expected to play a role in the future of self-driving, shared rides in urban settings. Their cost efficiency is valued, and growth in the charging infrastructure is expected to take away fear of being stranded in an electric car. Evercar, a provider of shared EVs for on-demand drivers (like Uber and Lyft), reported in the spring that it has been growing quickly in Los Angeles. By applying innovations in electric vehicles and carsharing technology, the company is making it possible for nearly anyone to access a vehicle to drive for the on-demand economy, Evercar said. Navigant Research sees a global trend developing with on-demand mobility programs sprouting up, which indicates that transportation is moving toward a future that is both shared and electric. Automakers and tech partners are testing projects to examine its potential. BMW recently announced that it will be expanding its ReachNow carsharing program to cover Portland, Ore., after successfully bringing the service to Seattle earlier this year. The service attracted more than 13,000 members within its first month of operation. BMW uses a mix of vehicles for the program that includes Mini Coopers and the BMW i3. Nissan recently announced its collaboration with San Francisco-based electric scooter-share company Scoot Networks. The two companies will deploy 10 mobility concept cars (the Renault Twizy) in the Bay Area. On August 2, startup company Green Commuter launched a carshare and vanpool fleet in Los Angeles using Tesla Model X SUVs. And there are several other two-wheel and four-wheel electrified vehicles being used in demonstration projects around the world. Navigant says that companies looking to capitalize on this rapidly evolving business will need to offer high levels of vehicle accessibility, affordable hourly usage rates, and differentiating product options. As for autonomous vehicles, a recent Navigant leaderboard rating placed Daimler, BMW, Audi, and General Motors as the top automakers in the field. Ford, Volvo, Toyota, and Honda followed in the leaderboard ratings. All of these companies are investing heavily in connected, electrified, advanced technologies. AltCar Expo: The City of Santa Monica will present the 11th annual AltCar Expo on Sept. 16-17, dedicated to alternative fuel vehicles and alternative modes of transportation. On Saturday, Sept. 17, AltCar will be celebrating the 10th Anniversary of “Who Killed the Electric Car?” with a special screening and panel discussion with Chris Paine, Dean Devlin, and special guests. Paine will present journalist Dan Neil with the 1st Annual AltCar Disrupter Award. 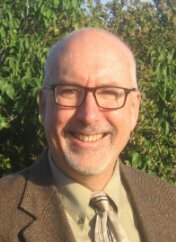 On Friday, Sept. 16, Jon LeSage from Green Auto Market will lead a panel on the Future of Mobility. The lively panel discussion features Hilary Norton from FAST, Delilah Lanoix Harris with ButterFli, and Michael Brylawski from Evercar, and will discuss how the changes will affect fleets as well as consumers. The two-day event will be held at the Santa Monica Civic parking lot and East Wing, 1855 Main St., Santa Monica, CA, Friday, Sept. 16 and Saturday, Sept. 17, from 10:00 a.m. to 5:00 p.m., and is free to the public. Subaru electric crossover: Subaru will be launching its first plug-in model, an all-wheel-drive electric crossover in the U.S. by 2021 to meet more stringent emissions regulations, according to a Japanese media source. The Japanese automaker will be releasing a midsize vehicle based on its Forester or Outback, according to an unidentified source. 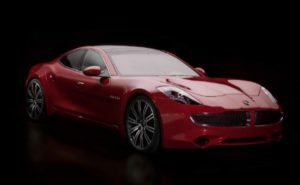 It will be based on a new global platform that its parent company, Fuji Heavy Industries, released earlier this year. Sierra Club study on EV sales experience: Dealers looking for an opportunity to grow another profit center in electric vehicle sales would do well to not only compete with Tesla but with franchised dealers in their metro areas. The Sierra Club sent a group of mystery shoppers to dealerships and Tesla stores to experience the EV sales process. This took place at 308 dealer locations and Tesla stores in California and nine other states following California’s zero emission vehicle mandates. About a third of the time, sales staff didn’t discuss federal tax and state rebate incentives; 14 percent of the dealerships didn’t have the cars sufficiently charged for a test drive, including at 22 percent of the Chevy dealerships and at 21 percent of the Ford dealerships visited. Only about half of the sales staff provided information on how to charge the EVs. Vehicle emissions bill in California: A new bill in Sacramento, which will likely be introduced this week by Los Angeles Assembly woman Autumn Burke, will propose that 15% of all new vehicles sold in the state be emissions-free within a decade. That would clash with the current zero emissions vehicle mandate calling for the same percentage by 2025, but with automakers having flexibility in meeting sales targets based on credit trading. California is facing a political fight over the future of the climate change law and the role vehicles and transportation will play. Burke thinks that the bill will increase pressure on automakers to transition over to more zero emission vehicles. GM ownership in Lyft: General Motors will not be increasing its investment in Lyft at this time, according to the companies. Silicon Valley website, The Information, reported that Lyft declined an offer from GM to increase its ownership stake from the current level of 9% up to 100%. The site attributes the report to a “person briefed on the situation.” Lyft was valued at $5.5 billion when GM bought its stake earlier this year. GM President Dan Ammann joined Lyft’s board of directors as part of the investment agreement. Germany clears VW diesel car fixes: Volkswagen AG gained approval in Germany to carry out fixes on 460,000 diesel cars using software that cheats emissions tests. The approval from the Federal Motor Transport Authority is valid for countries throughout Europe. It applies to models with 1.2-liter EA189 engines including the Volkswagen Polo and Seat Ibiza. German regulators have already cleared about 4.5 million vehicles in a process the automaker expects to complete by the end of this year. Investigating Koch brothers’ campaign for fossil fuels: “Discover the Value and Potential of Domestic Oil and Natural Gas,” says the Fueling U.S. Forward website. It’s part of brothers Charles and David Koch’s $10 million campaign to improve public opinion and support for oil and gas, and to attack electric vehicle and clean energy regulations. The campaign is being led by Charles Drevna, a long time pro-oil lobbyist who spent years at the American Fuel & Petrochemical Manufacturers, and most recently was a senior fellow at the Koch-funded Institute for Energy Research. You can also visit a new site launched to counter this Koch-backed campaign, called KochVsClean.com. Here you can find more information on Fueling U.S. Forward and much more research on this latest attack by the Koch brothers network. China may adopt ZEV rules: China’s national government is considering following California’s lead on the zero emission vehicle mandate. China has contributed generously to its new vehicle incentive program, which has helped significantly boost EV sales in the country in recent years. Those incentives will be ending in 2020, and the government is looking into alternatives in support of its “new-energy vehicles” campaign. California’s credit-based system for automakers may gain support in China. Tesla edits Chinese website: Tesla Motors removed a Chinese term for “self-driving” from its China website. It follows a Chinese Tesla owner claiming Tesla store employees misrepresented the fully autonomous capabilities of the Autopilot features. The Tesla driver crashed earlier this month while on a Beijing highway after the car failed to avoid a vehicle parked on the left side but partially in the roadway. Both cars were damaged but no passengers were injured. Twenty-eight companies have submitted a letter to the US Department of Justice, calling on the agency to appoint an independent administrator to oversee Volkswagen’s diesel emissions settlement. VW will be contributing a $2 billion investment to the future of the U.S. electric vehicle charging infrastructure, according to Reuters. The U.S. charging infrastructure has a lot more growth ahead to make attainable mass adoption of plug-ins. EVSE (Electric Vehicle Supply Equipment) providers want to see a level playing field to support market conditions for stability and growth to happen. A few of these companies are standing out in the relatively new business of EV charging. Electric Vehicle Charging Association members and other EVSE providers have sent a letter to the US Justice Department asking for fair competition in the marketplace. Volkswagen has agreed to spend $1.2 billion nationally and $800 million in California on the electric vehicle charging infrastructure as part of its “dieselgate” settlement. “The program should be structured to benefit drivers in California and across the nation, not enable the settling defendants to enter or influence the markets for (zero emission vehicle) charging and fueling equipment and services,” the letter to DOJ stated. California has seen its share of debate over how deployment of chargers should be regulated. Some of it goes back to 2012 when Governor Jerry Brown’s staff settled with electric utility NRG in a deal that went back to the state’s electricity deregulation scandal more than 10 years earlier. In another battle, the Electric Vehicle Charging Association and others filed in late July a request with the California Public Utilities Commission for settling with Pacific Gas & Electric. The utility has been asking for approval of its own charging network in Northern California, while charging companies have argued that it would create an anti-competitive marketplace. Major charging network companies have been active in state and federal lobbying efforts to have the industry treated on equitable market standards – where the power of utilities, government agencies, and automakers doesn’t supersede the role EVSE providers are playing in the new industry. This article is only looking at the role being played by a handful of large charging network companies. 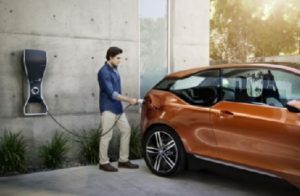 EVSE and smart application providers like CrippleCreek, EV Connect, OpConnect, and PlugShare also play a vital role in the growth of the charging infrastructure. Greenlots should also be acknowledged for expanding charging options for EV owners through its open standards-based technology solutions. This week’s Green Auto Market Extended Edition profiles six leading charging network companies, including one that’s partnered with Tesla Motors on the Supercharger network. Click here to sign up, and to read more about data featured in the weekly newsletter including hybrid and plug-in sales figures and infrastructure development. Subscribers will be sent this week’s edition in a PDF file. Wireless charging: Supporters of wireless EV charging see a future where wireless chargers would be built directly into roadways so the electric car would charge while you drive, eliminating range anxiety and travel time lost while the car charges. It uses inductive charging with two coils of wire in two objects, such as a pad on the electric car connected to its battery and a separate pad on the ground. When the pads are close enough, an electromagnetic field transmits current and charges the battery. Suppliers, including Qualcomm, Momentum Dynamics, and Evatran Group, are in talks with automakers about integrating this technology into their product planning. Some automakers are showing interest, but mass adoption is still years away. Mercedes-Benz will be the first on the market, offering wireless charging on its S550e plug-in hybrid next year. Qualcomm has licensed its Halo wireless EV charging technology to three suppliers: Southfield-based Lear Corp., U.K.-based Ricardo, and Switzerland-based BRUSA Elektronik AG. Momentum Dynamics first demonstrated its system on a Chevrolet Volt in 2012. Virginia-based Evatran Group Inc. makes and distributes a product it calls Plugless, a 3.3 kilowatt-hour system available for the Chevy Volt, Nissan Leaf EV, and Cadillac ELR. 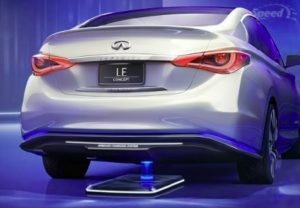 Developers of the wireless charging technology are finding a few key challenges including whether the EV is close enough, and aligned correctly, for the charging to succeed. Fast charging uniformity: It isn’t here yet, and it’s not expected to be resolved anytime soon. Of the 1,855 fast-charging stations in the U.S., 1,077 have CHAdeMO connectors, 764 have SAE Combo connectors, and 289 have Tesla connectors, according to the Department of Energy’s Alternative Fuels Data Center. The state of fast charging depends on who built the car, with the CHAdeMO network only fitting Asian-made vehicles. The SAE Combo plugs only fit German and American cars. Tesla’s Supercharger network only connects to Tesla models. Beyond the Supercharger network, major infrastructure companies are usually offering both CHAdeMO and SAE Combo chargers, but it can be unclear for EV drivers which vehicles can plug into which stations. Some fast-charging stations have only one type of connector, while others have both, further complicating matters, according to a Scientific American report. Open source charging stations could resolve this problem, but that’s still in the early phase of development in fast charging. Open-source charging company Greenlots is testing out such a network using its SKY platform with Hawaiian Electric Company. It’s part of a joint research and demonstration project with the Electric Power Research Institute (EPRI). The fast charger is located prominently, at the Kapolei Commons shopping mall in West Oahu, and taps into solar power. Shared charging: The shared economy model, popularized by Uber, Lyft, and Airbnb, is transferring over to EVs. Finding public charging stations outside major cities can be frustrating for EV owners. Private individuals with chargers are participating in shared networks to make sure EV drivers can make it home. Renault Group launched Elbnb, a website and application in Sweden that maps out charging stations for EVs. In the U.S., PlugShare has become a popular resource. The PlugShare mobile app maps out tens of thousands of additional outlets from private residents, according to the company. The map helps EV drivers find charging, mostly for free, in places outside the more obvious charging stations. Airbnb has partnered with Tesla to offer dozens of free charging stations to top hosts in Airbnb’s lodging network, who hope to attract EV drivers as customers. The state of hydrogen stations: Japan now has about hydrogen 80 stations operating, and Germany has 50. The U.S. now has 29 hydrogen stations in operation with most of them in California, according to the U.S. Department of Energy. In late 2015, the California Energy Commission predicted 50 hydrogen stations will be opening in the state by the end of 2016, but that goal looks like it will be missed. FirstElement Fuel is bringing hydrogen fueling stations to California under the True Zero brand. The company has 15 hydrogen stations completed and 13 of those open for consumers to access. Fuel cell manufacturer Plug Power says it has started working on the design of new hydrogen fuel cells that would be used in battery-powered delivery trucks. Plug Power currently makes fuel cells that are used in fork lift trucks. ‘Toilet-to-Tank Filling Station’ in Japan: Fukuoka, a southern Japanese city, now has a hydrogen fueling station in place fueled by biogas coming from a combination of methane and carbon dioxide produced by the breakdown of wastewater from a central sewage plant. It’s now the second of its kind, following a demonstration facility that used similar technology at a Fountain Valley, Calif., wastewater plant that started in 2011 and is no longer in operation. The Fukuoka hydrogen station opened in late 2015 and is available to gas up fuel cell vehicles. The plant comes from a $12-million investment from Japan’s government, plus research, engineering, design and building work by Mitsubishi, Toyota, and Kyushu University. Beyond plug-ins and fuel cell vehicles: Will NanoFlowcell and Energy Independent Vehicles knock out battery- and hydrogen-powered electric motors? It depends on who you ask. Battery electric vehicles are hitting a “dead end” compared to the zero emission electric motor powered by NanoFlowcell technology, says Nunzio La Vecchia, chief technology officer of NanoFlowcell Holdings, and inventor of the NanoFlowcell technology for energy storage. Flow-cell batteries can be “refueled” in minutes at centralized filling stations versus hours needed with EV charging, he says. NanoFlowcell’s alternative solution uses what it claims is a “shoebox-sized” flow cell and two tanks, with a total capacity of 150 liters (about 40 gallons) of positive and negative liquid electrolytes. That’s superior to lithium-ion battery packs weighing up to 1,500 pounds, he says. Last year in Geneva, the company displayed its QUANTiNO concept car, a type of fuel cell electric car with over 620-miles range and touted to be on the road; but NanoFlowcell faces the steep challenge of winning over support for its new technology and supporting deployment of a fueling infrastructure across the country that fuel cell cars are navigating through. Energy Independent Vehicles are being developed that will separate them from EVs and hydrogen fuel cell vehicles, says Peter Harrop, chairman of the IDTechEx. Energy independent means they’re getting their energy through converting wind, sun, and even rain into power for the vehicles. Harrop says they’re in the testing phase and will be on roads in the next few years. During a presentation at the Electric Vehicle Symposium (EVS29) in Montreal in June, Harrop showed a sampling of vehicles – including cars, planes, and boats – and how they’ll be powered. Along with renewable power sources, Harrop said that advanced vehicle technologies will make them viable for wider adoption in the future. These technologies will include next-generation batteries, energy harvesting from multiple sources, lightweighting, smart materials, and what his firm calls “structural electronics.” Examples of the energy independent vehicles rolling out include Hanergy Holding Group, a Chinese company, having unveiled four solar-powered concept vehicles outside its Beijing headquarters in early July; and Solar-powered Stella Lux being developed by students at the Eindhoven University of Technology in the Netherlands using carbon fiber and aluminum for light weight. Didi buying Uber’s China business: Uber’s arch-rival in China, Didi Chuxing, will be acquiring Uber’s Chinese business unit. It will effectively halt a fierce competitive battle and price war for the Chinese ridesharing and ride-hailing market. Didi will take over all of Uber China and will operate it as a separate brand. Uber will receive a stake in Didi and Uber founder Travis Kalanick will join the Chinese company’s board, according to news coverage. Uber has already lost $2 billion in China in two years there, people familiar with the matter have said, prompting Uber investors to pressure the company to cut a deal. As part of the arrangement, Didi will invest $1 billion in Uber’s global company, sources said. Business has been profitable in the U.S. and Canada, but losses in developing markets like China have undercut progress for Uber. The huge losses in China have been one of the main sticking points holding up Uber’s potential initial public offering (IPO), according to people familiar with the matter. Didi has received backing from more investors, including the recent announcement of $1 billion coming from Apple. Tesla merging with SolarCity: Independent board members of both Telsa Motors Inc. and SolarCity Corp. have approved a $2.6 billion all-stock deal. SolarCity stockholders would receive 0.11 Tesla shares for each SolarCity share they own. The deal still requires approval by a majority of shareholders at both companies, including Elon Musk, who is the largest investor at both companies. SolarCity is still open to bids over the next 45 days to see if any other bidder can top Tesla’s offer. Tesla and SolarCity shares were down after the announcement. Tesla shares dropped after the initial announcement in June, but have since come back. Wall Street has been concerned over whether combining the companies will be the best way to go. Model X vanpooling: Green Commuter is rolling out a Tesla Model X fleet in carsharing and vanpooling services in the Los Angeles market. The company says that the Model X was chosen because it’s the only all-electric vehicle currently able to seat seven. Its official launch date is today, August 2, and coincides with an Indiegogo crowdfunding campaign offering its services at discounted rates. Packages start at $10 an hour and $150 per weekend rental. Details from Gigafactory tour: During the media tour last week at its Nevada-based Gigafactory, Tesla announced its Model 3 will start production about six months earlier than anticipated. Instead of late 2017, the Model 3 will start being built in the summer of next year, CEO Elon Musk said. Musk is confident the company will reach a price of $100 kilowatt hours by 2020, down from an average price of $1,200 in 2010. That will play a big part in keeping the Model 3 cost competitive, as batteries can make up about a third of the price of an electric car. Tesla and Panasonic will be building components in-house instead of the usual costs shipping and repackaging – keeping supply chain costs down. Elio lobbies for “autocycle” category: Elio Motors has been seeing positive results in its efforts to lobby for allowing licenses for driving its three-wheel vehicle in states across the U.S. Elio vehicle owners are benefiting from the new state laws including the “autocycle” category; this has brought the number up to 41 states that say you don’t need a motorcycle to drive the three-wheeler. Elio Motors says that its vehicle will have a targeted base price of $6,800 that will get up to 84 mpg. VW top seller: Volkswagen became the top-selling global automaker during the first half of 2016, even after being absorbed in the “dieselgate” scandal since September of last year. Toyota lost first place following a series of production stoppages in the first half of the year. While sales of its mass-market VW brand have suffered, sales have been more than offset by strong demand for luxury Audi and Porsche models as well as Czech brand Skoda. Wastewater to hydrogen: Fukuoka, Japan, now has a hydrogen fueling station in place fueled by biogas coming from a combination of methane and carbon dioxide produced by the breakdown of wastewater from a central sewage plant. Fuel cell car owners can fuel up at what’s being called a “toilet-to-tank filling station.” It’s now the second of its kind, following a demonstration facility that used similar technology at a Fountain Valley, Calif., wastewater plant that is no longer in operation. Commercial electric vehicles are seeing a revival this year, encouraged by government incentives and demand coming from fleets and freight haulers. Electric truckmakers and suppliers had seen several financial failures in recent years, but a turnaround is starting to pick up. California is playing a leading role, with its Sustainable Freight Action Plan aiming to see 100,000 trucks, trains, and cargo-moving machines fueled by cleaner fuels or electricity through its ports and on its roads by 2030. 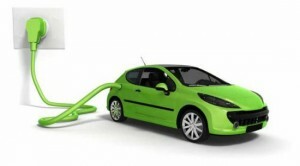 For the global market, Navigant Research says sales of electric drive and electric-assisted commercial vehicles are expected to grow from less than 16,000 in 2014 to nearly 160,000 in 2023. Electric hybrid vehicles are now being used in commercial applications where the improved technology offers major benefits for specific drive cycles that involve city driving in stop-start traffic, Navigant says. Cities and states across the country are adopting tighter emissions rules for urban transport; the challenge is steep due to a lack of batteries with the durability to propel fully loaded vehicles for long periods of constant use. Automakers are starting to take these vehicles and battery packs more seriously, and a few of the startups are starting to make headway in the market. That includes Mercedes, Tesla, Nikola Motor, BYD, and Smith Electric Vehicles. Heavy-duty trucks, medium-duty delivery and work trucks, and buses, will have more electrified vehicle offerings in the near future………. As for the electric bus that Musk referred to, in recent tweets he said that it’s going to more of a passenger van than a delivery vehicle. The planned “high passenger-density urban transport” will be not an electric city bus, but a smaller vehicle built on the Model X chassis. Musk has also said the Tesla Minibus will be modeled on an iconic vehicle – what he says is “inspired by some of the California Custom VW combi design art,” which is basically a 1960s VW van. Salt Lake City-based startup, Nikola Motor, recently said that it has received 7,000 pre-orders for its Class 8 electric truck. The battery-powered prototype, Nikola One, is scheduled to be unveiled in December. The company says its electrified truck, which features a natural gas turbine range extender engine, is 10-to-15 years ahead of any other truck manufacturer in fuel efficiencies and emissions. Among a list of touted benefits, the natural-gas turbine powered rig is said to offer two-to-three times better mpg than today’s diesels and “near zero” emissions. “We are the only OEM to have a near zero emission truck and still outperform diesel trucks running at 80,000 pounds,” said Trevor Milton, founder and CEO. Tesla Motors co-founder Ian Wright’s company, Wrightspeed, recently won a $30 million contract to convert hundreds of New Zealand transit buses with its turbine-powered plug-in hybrid powertrain. The Alameda, Calif.-based manufacturer of range-extended electric vehicle powertrains, also announced that it was just awarded as a World Economic Forum’s Technology Pioneer, a selection of the world’s most innovative companies. Designed as a replacement for conventional piston engine and transmission systems, Wrightspeed’s Route is a range-extended electric vehicle powertrain that provides extended range and fuel cost reductions for the refuse, delivery, and mass transit markets. Smith Electric Vehicles, based in Kansas City, Mo., just announced its decision to streamline its structure and operations to increase shareholder returns. The medium-duty electric truck maker will consolidate its operations hub in the US and will add a division in the UK. It will sell and distribute its products worldwide. The Smith Electric Newton and Edison models are deployed in several countries across a variety of industries, including parcel, food, beverage and equipment delivery, and personnel transport. While BYD is leading the Chinese market in electric car sales, in North America, its electric transit buses are taking off. Last year, California-based BYD Motors won a contract with the Washington State Department of Transportation that will allow for up to 800 heavy-duty buses from all different propulsion types that included 12 different categories for all-electric buses. The contract has the potential to be the most complete electric vehicle procurement in US history as it includes buses from 30 to 60 feet in length for both highway and transit applications, the company says. BYD is providing electric buses to other transit districts in North America, including an agreement with the Long Beach Transit, based in Long Beach, Calif., that was set up in 2015. Colorado-based Boulder Electric Vehicle has a growing fleet clientele tapping into its mid-size electric truck offerings. The 500 Series offers 80 to 100 miles per charger with up to 4,000 pounds of payload, freeway-capable speeds up to 75 mph, and a variety of available configurations and options. The 1000 Series has similar specifications with up to 6,500 lbs. payload. Electric Vehicles International (EVI), a maker of battery electric light- and medium-duty trucks and a plug-in hybrid utility service truck, was acquired in March by First Priority GreenFleet. The investor describes itself as “a total solutions provider to sustainable fleets that brings customers a full range of zero and low-emission vehicles that allow them to select the products and infrastructure that best fits their needs.” Its parent company, First Priority Global, manufactures a variety of specialty vehicles, including firefighting, medical, rescue, and public safety equipment. EVI also sells powertrains and performs conversions. Last year, Via Motors announced that California Air Resources Board and the US Environmental Protection Agency issued emissions certification for its full-sized Plug-In Extended Range Electric (eREV) Pickup Truck, clearing the way for the company to deliver the vehicles to its fleet customers. Via had previously received similar certification from CARB and EPA for its eREV Van. Via employs a streamlined up-fitting manufacturing process to integrate its proprietary VDRIVE power train into new OEM vehicles, then sells directly to fleets under the VTRUX brand name. Via VTRUX delivers over 40 mile battery range on a single charge and unlimited extended range, averaging upwards of 100 mpg in typical daily driving. In November, Mercedes finished a test project on a Fuso Canter E-Cell pilot in Portugal. The six-ton Canter e-Cell comes from Daimler’s Fuso brand. The customers in the test trial experienced the Canter E-Cell as an efficient and reliable concept fully meeting the demands of urban delivery transport, the company said. Swedish truckmaker Scania is testing electric trucks powered by overhead electric cables. Since February, Scania has been testing out a new electric truck on two-kilometer struck of road between the Port of Gävle and the town of Storvik along European highway 16 in Sweden. Siemens is providing electric drive systems in the test project that operate on a catenary system, using an overhead external conductive box and cable system. Scania is finding that using hybrid electric trucks fitted with this electrified vehicle technology rather than diesel trucks can reduce fossil fuel emissions by between 80% and 90% in some cases.